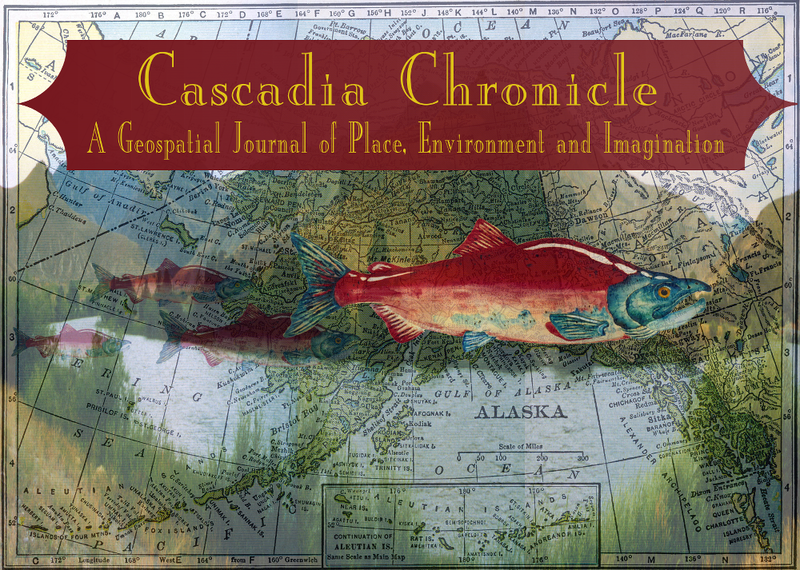 Cascadia Chronicle is a peer-review, multimedia, open-access journal based at Central Washington University, in close partnership with the university’s Museum of Culture and Environment and Center for Geospatial Poetry. We publish scholarship, literature and art connected to the Cascadia region, primarily comprising Washington, Oregon, British Columbia, and southeastern Alaska. The journal presents innovative scholarship about landscape and place in the Pacific Northwest in dynamic digital form, with particular emphasis on geospatial representations. Whenever possible academic papers, photo essays, and poems are integrated into a geospatial platform, allowing users, in effect, to navigate through the region spatially to access academic and creative content. Our intended audience includes teachers, scholars, students and interested members of the public. The journal conforms to high standards of scholarship and professional peer review and is overseen by a core editorial board, assisted by an advisory board, consisting by prominent poets, essayists, scientists, historians and other scholars. Technologies and metaphors of mapping figure prominently in this on line arena, allowing readers to navigate and discover geographical interconnections in the region’s history, environment, and cultural form. The journal gives strong attention to social and cultural diversity, past and present, and the dynamic relationship between persons and landscape in the shaping of the Pacific Northwest, with strong attention to the inland Northwest. Most academic essays will be in the 6000 to 8000 word range. Prose style should be broadly accessible to an intelligent academic and lay audience, cutting across discipline-based boundaries whenever possible. Poetry offerings will most often be related to senses of place. Photo essays and short digital videos illustrative of experiences of landscape and place are also welcome. The journal is freely available on line without subscription fee to individuals or institutions. Copyright is retained by authors, and publication rights are granted to the journal. Consistent with established open access principles, users have the right to read, download, and link to the full text of our published works. Any reproduction of original content from the journal must a) seek copyright from authors and b) acknowledge Cascadia Chronicle as the site of original publication.